MAC4 Communications provides internal and external marketing and communications support and counsel. At MAC4, we support our clients by providing organizational and change communications planning, project management, content development and execution. Our writing style is a blend of cohesive business writing and creative story telling. With more than 25 years of internal and external communications experience in healthcare, pharmaceuticals, high tech, higher education and non-profit arenas, we tackle the small projects with the same professionalism and passion as we do the larger ones. At MAC4, we believe that through effective organizational communications planning, detailed project management and flawless execution, we will impact your business. Click here to learn more about What we do. At the helm of MAC4 Communications, a company founded in 2001, is President/CEO Danielle MacDonald. 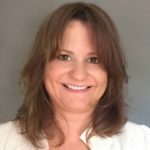 With more than 25 years of communications experience in healthcare and pharmaceuticals, high tech, higher education and business, Danielle is well versed in the areas of organizational and change communications, HR communications, Web development, branding, and social and digital marketing. Danielle’s project and vendor management abilities aptly complement her experience. Danielle maintains extended relationships with her clients. She’s provided long-term organizational, change and HR communications support to companies like: Johnson& Johnson (Janssen Pharmaceuticals, Consumer Products and McNeil), AstraZeneca Pharmaceuticals, Shire Pharmaceuticals, SAP North America, SunGard AS, Comcast, and Medidata to name a few. Along with her passionate and professional team of writers, project managers, graphic and web designers, Danielle has provided web site design and development, branding and collateral development to various other clients including: In-Development, The Farm & the Fisherman, Crompco LLC, Katsock & Company, Kristel Closets, Talent Solutions, IQue Group clients and more. Prior to launching MAC4, Danielle spent five years as a Senior HR Communications Consultant with SAP North America. Previous to this, Danielle held several marketing and communications roles, including Director of Public Relations for Gwynedd-Mercy College, and Director of Public Relations and Corporate Communications for NovaCare, Inc. She also served as Director of Public Relations and Marketing for the Mercy Health System at Haverford Hospital, and as Director of Marketing and Membership Services for the Delaware County Chamber of Commerce. 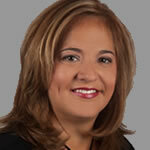 Danielle earned her bachelor’s degree in journalism from Temple University in 1989. She also retains a certificate in management from Villanova University. Danielle is a certified English tutor, a Ragan Communications Select member, a member of the International Association of Business Communicators and a member of the Business Women’s Advisory Council. She was a former board member of the eWomen Network’s King of Prussia chapter. Danielle is an avid reader, and an amateur travel enthusiast, and enjoys yoga and spinning. Danielle and her husband Chris reside with their two daughters in Trappe, PA.
Kate Tomasco is a seasoned and versatile communication professional who offers clients the benefit of her extensive experience developing and managing employee communications, marketing communications and other external communications programs, coupled with her talent and passion for the written word. Kate thrives on working with clients in diverse industries–from pharmaceutical to retail–to develop clear and compelling communications that connect with their target audiences. Her goal is to reliably deliver results that align with business objectives and meet or exceed customer expectations. Kate brings to the table her long track record of success developing and implementing communications strategies and tactics for major corporations in a range of industries, including JPMorgan Chase & Co., AstraZeneca Pharmaceuticals, Xerox Corporation and IKON Office Solutions. Kate holds an MBA degree from Pennsylvania State University and a BA from the University of Delaware in English, concentration business and technical writing. 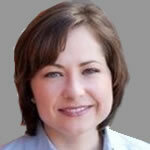 Jennifer has provided graphics support and expertise to MAC4 clients for over a decade. Jen’s experience in brand identity, printed materials, digital communications, animations, video, display, website design and programming, and advertising campaigns makes her an invaluable resource to MAC4 clients. Her experience includes eight years of agency work, followed by almost 20 years of graphic design freelancing for marketing professionals as well as individual companies and corporations. She has provided graphic solutions in a wide range of industries, including pharmaceuticals, banking, and high tech and has also extensively served her local community with branding for small and mid-size companies, and education institutions. Jennifer has a passion for creative, clever design and has the ability to graphically simplify complex communications and messaging. 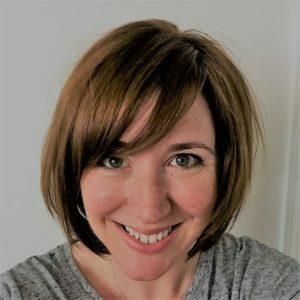 A graduate of the Kutztown University, with a Bachelor of Fine Arts degree in Communication Design, Jennifer lives in Downingtown, PA, with her husband and two children. 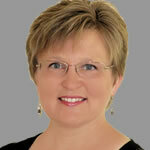 Christine Wright has provided MAC4 with graphic design support and PowerPoint expertise since 2013. She helps MAC4 clients maintain their brand identities with consistency and clean design sensibilities. In addition to PowerPoint presentations, she uses her creativity and skill to develop info graphics, newsletters and digital communications. 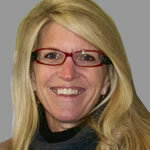 Christine began her career in the corporate world 20 years ago as an in-house graphic designer. Her experience encompasses creating materials for both marketing and advertising design in addition to product development and production. Today, Christine and her husband Jim serve as an independent consultants, providing print design, branding, website development and PowerPoint services for a variety of industries and organizations. 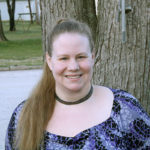 Paula Marolewski joined the MAC4 writing team in 2008. As a veteran copywriter with more than a sixteen years’ experience in marketing and advertising, Paula excels in developing information-rich articles and white papers, targeted marketing materials, and search engine optimized web copy. She is also a professional ghostwriter, offering businessmen and women the opportunity to present themselves to their clientele as industry experts and thought leaders. Paula brings to the table a unique ability to make the complex understandable. She has written for such diverse companies as leadership development consultants, financial advisors, technology firms, pharmaceutical corporations, and web marketing specialists. In every case, she has enabled these companies to communicate their products, services, and benefits in clear and compelling language to their target markets. Paula’s words sparkle with energy, engage customers, and deliver results. 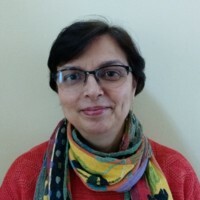 Benita Mukerji joined MAC4 in 2018, bringing with her expertise in Project Management and Analytics. She is a certified Project Manager and Six Sigma Green Belt. Benita has extensive experience in managing a wide range of Business and IT Projects by collaborating with cross functional teams in matrixed organizations as well as working with external vendors. She excels in understanding business needs, is a good listener and comfortable working across all levels of the organization. In addition to being a Project Management Consultant at MAC4, Benita with her attention to detail is an excellent proofreader. Benita holds a Master of Science Degree in Applied Statistics from Purdue University. 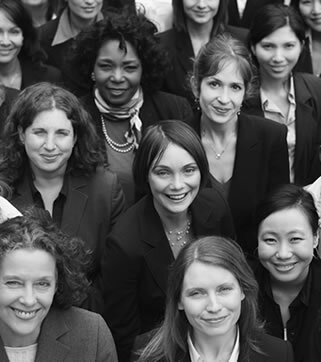 Initially in her career she worked in the Financial Sector holding positions with increasing responsibility at Milliman & Robertson Consulting Actuaries, Providian Direct Insurance, Fleet Credit Card Services, and Harleysville Insurance. Due to her passion for healthcare, Benita switched industries and worked at Merck Pharmaceutical prior to joining MAC4. Benita lives in Collegeville, PA with her husband. Traveling, Cooking, Gardening and Teaching Yoga keeps Benita busy. A creative communications expert with 20 years of professional writing experience, Estera joined the MAC4 team in 2017. She supports our clients in all facets of communications and marketing, but her true passion lies in writing copy that people can connect with. From internal communications and news to websites and blog posts, she works closely with clients to deliver high-quality, valuable content that truly engages their defined audiences. Estera has spent 14 years working in and with tech companies, but has also garnered extensive experience in other industries, including pharmaceuticals, consumer products, nonprofit organizations, travel, finance, and legal services. Prior to becoming a consultant, Estera held various positions on the global and North America marketing and communications teams at IDS Scheer, a Business Process Management software and services company. Estera earned a Bachelor of Arts in English, Honors Program from Villanova University. She loves watching Dateline mysteries and running, which she gets to do quite often when chasing around her three sons. Lauren is a seasoned communications warrior in the fight against jargon and disconnect. Over a three-decade career spent primarily as a consultant, she has developed a niche in the areas of health care and education. Some of the many direct clients she has provided writing, editing, research and project management services for include Einstein Healthcare Network, Main Line Health System, Drexel University and Montgomery County Community College. She has also completed agency-affiliated work across many industries for dozens of clients — everything from domestic and international health insurance companies, hospitals, pharmaceutical firms and medical specialist practices to consumer products, retail, financial services and nonprofit organizations. Prior to launching her consulting work, Lauren worked in media relations for a statewide trade organization and in public relations and constituent service for the Speaker of the Pennsylvania House of Representatives. A lifelong Philadelphia-area resident, she holds bachelor’s and master’s degrees in journalism from Temple University and has earned more than a dozen regional and national communications awards for her work. With one child in college and the other recently graduated, she has been able to spend more time traveling with her husband and playing her passion sport, competitive volleyball, in numerous regional tournaments. Robin Imbesi is an experienced communications professional with more than 25 years experience in corporate communications — facilitating effective, transparent communications throughout all organizational levels. A creative, strategic thinker with marketing, management and exceptional written and verbal communication skills, she has provided strategic communications and marketing strategy support– including message development, employee communications, content marketing, writing and editing — on a freelance basis since 2006. Robin joined the MAC4 team in May 2015. During her career, Robin created and executed strategic communications projects, developed thought leadership platforms and messaging, as well as executive and senior management presentations and speeches. In addition, she executed change management plans and media relations efforts. She worked for a number of organizations – both for-profit and not-for-profit – in numerous industries, including: Comcast, SAP, Keystone Mercy Health Plan and the Franklin Institute Science Museum. Robin earned a bachelor’s degree in Advertising/Journalism from the Pennsylvania State University. 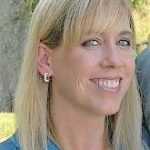 Kristina Schurr has 20 years of experience in writing and editing, with most of it in corporate communications, doing public relations, employee communication and public affairs, including Political Action Committee, communication. During her career, Kristina has worked with business executives in industries such as energy, chemicals, food processing and pharmaceuticals to understand their business goals, and develop and implement public relations, employee communications and public affairs strategies to support those goals. She works with clients to develop persuasive messages and create communication plans that engage key stakeholders, including customers, employees, government officials, media, neighbors and investors. She joined MAC4 Communication in May 2017. Kristina, who began her career as an energy reporter for Dow Jones & Co., worked as public relations manager in the U.S. for Linde North America before becoming a communications consultant. She has a Bachelor’s from Bucknell University and a Masters in Public Affairs Reporting from the University of Maryland College Park. 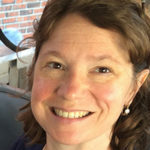 Susan Lenkaitis joined MAC4 in 2013, bringing with her a unique combination of communications, project management, writing and editorial skills. With experience in print journalism, public relations, sales and marketing, Susan contributes knowledge of different writing styles required to appeal to diverse audiences across multiple platforms. Instilled with a deep love of the written word and a desire to deliver client communications with distinction and flair, she provides excellent writing and editing capabilities with a confident command of spelling, grammar and punctuation. Additionally, she offers an eye for consistency and strong attention to detail. While holding positions with NovaCare Outpatient Rehabilitation, The Franklin Mint and the Delaware County Chamber of Commerce, coupled with her freelance and independent consulting work, Susan developed sound judgement in researching product or content-related material and enhanced her organizational and interpersonal skills. A graduate of the University of Delaware, with a bachelor’s degree in English/journalism, Susan lives in West Chester, PA, with her husband and four children. Lori Rohrbach wears many hats at MAC4. She joined the MAC4 team in 2015 as an office assistant. 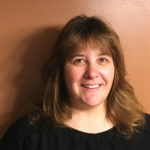 In this role, Lori manages all of the administrative tasks of the office, including accounting and bookkeeping, ordering, invoice management, transcription, Internet research and other special projects. Lori also manages and maintains the MAC4 website. Lori graduated from P.A.C.E. Institute with an associate’s degree in Accounting. She has been a tax preparer for 12 years and loves to crunch numbers. 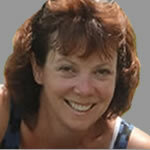 Lori lives in Boyertown, PA with her husband and children. Danielle provided communications support for me regularly for several years. Through her collaborative approach and strong attention to detail, she became a valued partner in helping me conceptualize strategies and execute plans. I felt completely comfortable giving her total access to my business partners and vendors and would highly recommend her services.